The FSA in Northern Ireland has released a statement re-emphasising to businesses that from 13th December 2016, new rules will be fully implemented regarding nutritional labelling. 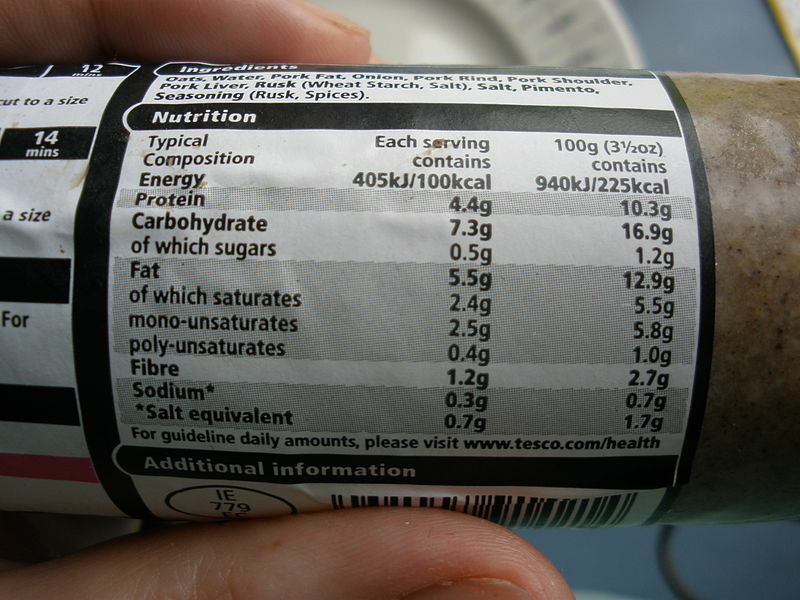 After that date, all businesses selling pre-packed foods will be required to display compulsory nutrition declarations. This requirement refers to the mandatory nutrition panel on food packaging, which has to show the energy value (in kJ/kcal), as well as the amounts of fat, saturates, carbohydrates, sugars, protein, and salt provided per 100g or 100ml. On top of this, further nutrients may optionally be provided, such as fibre, vitamins and minerals. The incoming regulations mean that all of this information must be included on the package or on the label of any pre-packaged food. Businesses are likely already aware of the Food Information to Consumers Regulation (EU) No. 1169/2011 which came into effect in 2011, with a large part of the requirements of the new legislation applying to pre-packed foods on 13th December 2014. From 13th December this year, the entirety of the regulation will be active. Some foods are exempted from the mandatory labelling regulations, whilst others require extra labelling of certain ingredients or warnings. For full details on the regulations, see the FSA’s guidance here.